There something slightly creepy yet cool about the Sarajevo bobsled track which sits hidden by nature at the top of Bosnia and Herzegovina’s (BiH) Mount Trebević. In 1984, less than a decade before the Bosnian war and the Sarajevo Siege, Bosnia’s capital city, Sarajevo, played host to the Winter Olympics. The country opened its doors to the international community to celebrate sport, winning their first medal as part of the Yugoslavia team. 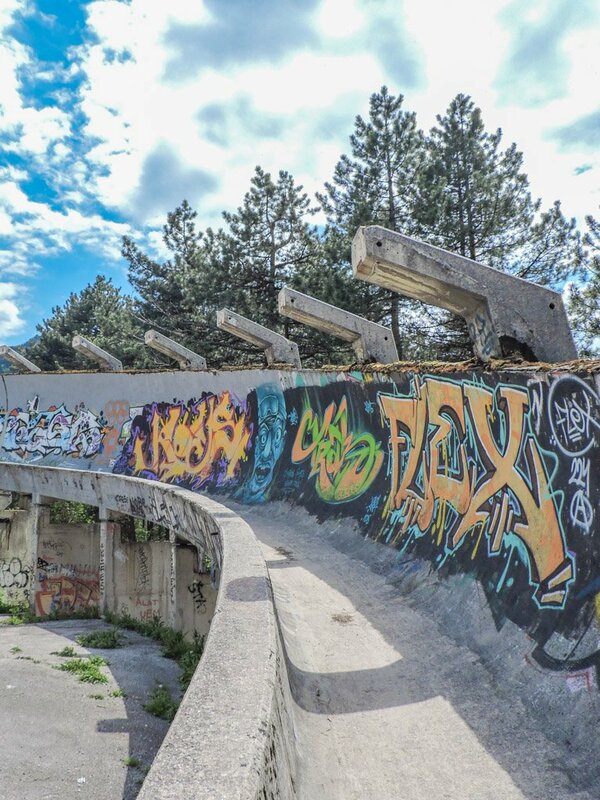 During the Sarajevo Siege (’92 – ’96) the bobsled (or bobsleigh) and luge track were used by the Bosnian Serbs as a base for artillery but today it is walking museum which has been attacked by graffiti artists! 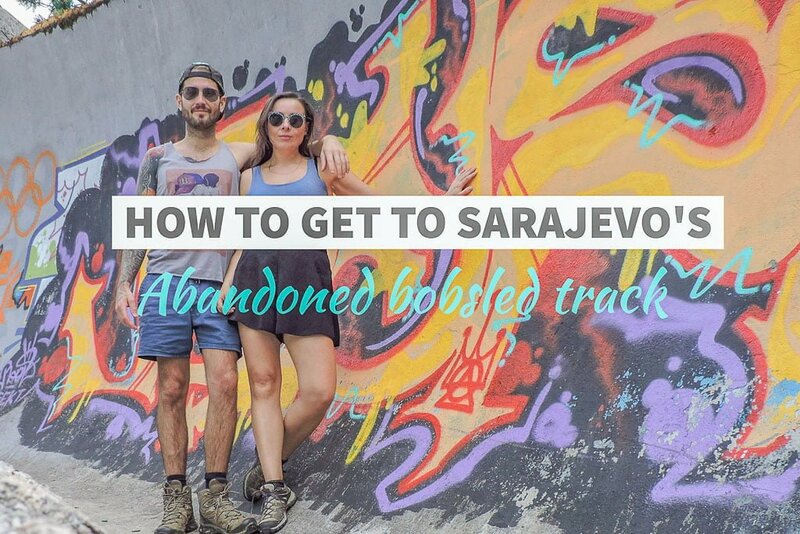 It is totally doable to reach Sarajevo’s abandoned bobsled track by foot but it is tricky. 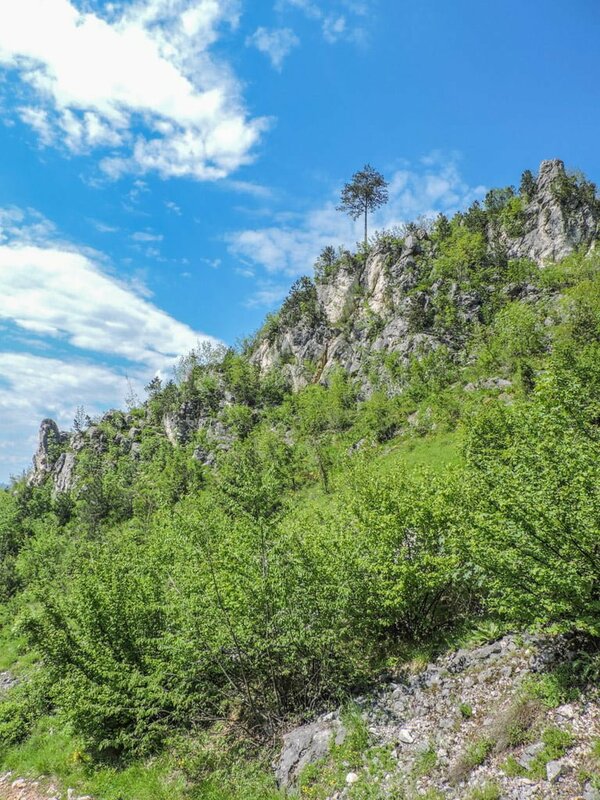 It does involve walking up Mount Trebević and through a local village. You will need a smartphone with GPS and a map app that can read coordinates. Input the coordinate 43°50′28″N 18°26′32″E (click here for Google Maps) this will take you three quarters of the way. 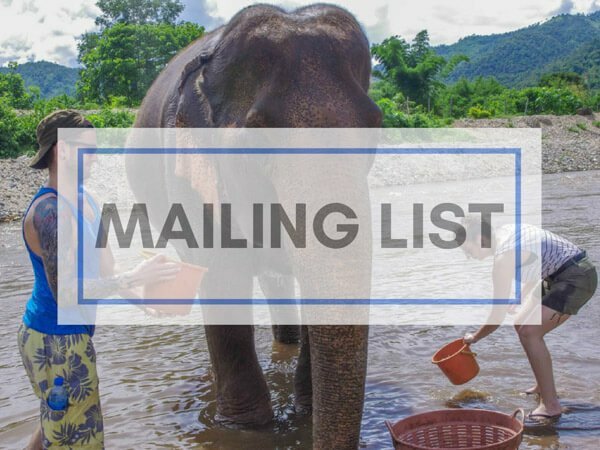 I’ll guide you through the rest (you might want to copy and paste this article into an email, send it to yourself then make sure it is saved to your phone emails). Be warned, this trek to the track is not for the faint-hearted, put on sunscreen, take water and wear sensible shoes. To begin with, the GPS directions will take you upstairs, through houses (some old, some new), past men washing their cars, a couple of sporadic local shops, kids playing football, a few stares, and some hellos – just smile and say ‘Dobar dan’ (hello)! These houses are built on a hill, some of the uphill is at a 30-degree incline, work those buns! This part of the journey is paved. It should take around 1 hour 15 mins. Towards the end you will be faced with a grassy patch to your right, some cars may be parked there. You will see a couple of houses to your left and a path which curves to the right and then up. Take that path, the pavement will end soon. 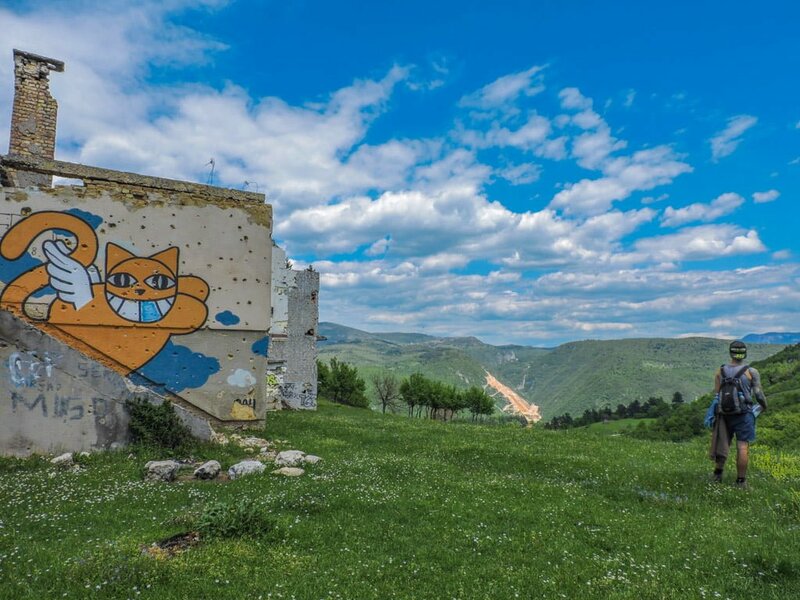 The next part of the journey to Sarajevo’s abandoned bobsled track is a man-made path of orange stones. There are two paths, both will take you to the same elevated point. The track ends at two bombed out houses with graffiti on them. Take in the views! The leg from the top of the lived in houses, should take around 20 mins. 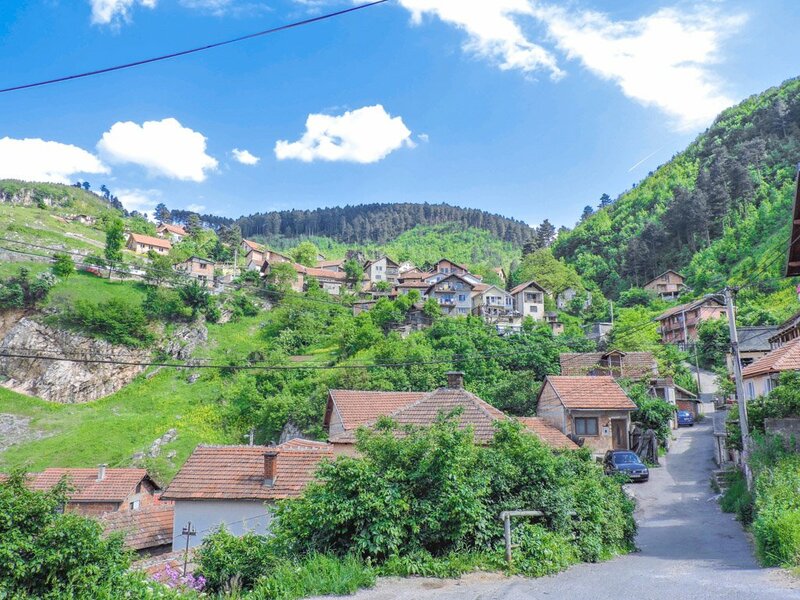 To the right of this (where Craig is standing) is a path, head along it then up, you’ll meet a paved road which curves up to left, more abandoned houses then… you’ve reached Sarajevo’s bobsled track location. Phew! That should take around 5 minutes. Naturally, I can’t vouch for these instructions, please do share your experience with us in the comments below! According to TripAdvisor, you can take a taxi to the abandoned bobsleigh and luge track. Turn your back on the hotel, walk through the car park and the road on the right. Follow the path until the bobsled track. As of April 2018, Sarajevo’s 32 cable cars have now opened. Thank you to a reader for updating us. 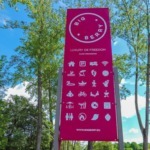 I’m extremely excited at what this symbolises for the city. Please tell us in the comments about your experience. 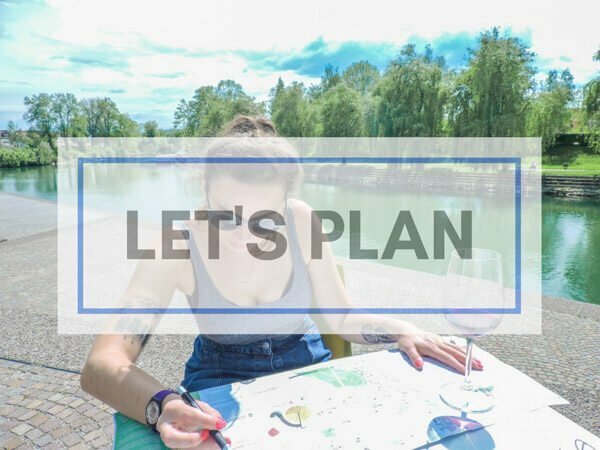 If hiking isn’t your thing, and the public transport route puts the fear in you, you could take a tour with a local company. 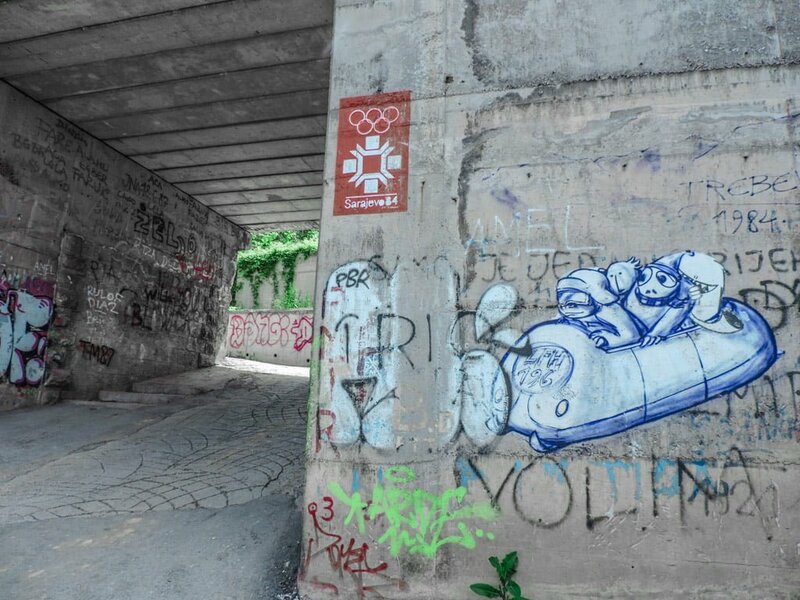 Although there are no tours which directly focus just on the abandoned bobsled track, it is built into bigger trips, for example, Sarajevo Funky Tours’ Sarajevo Siege Tour or Insider’s Olympic Tour (no affiliation). The forest around the bobsleigh/sled track itself is pretty overgrown and there are pine needles inside the track but we could still walk around it, admiring the graffiti and pretending to be a bobsled team. Craig was gutted that he hadn’t packed his rollerblades (from the 90s) when he saw the track. We bumped into an Aussie on the way down, skateboard in hand. There are definite signs skateboard/skate wear and tear around the track, you might need to brush off the pine needles then you’d be good to go. Craig has simulated what bobsledding down the abandoned track must have been like so you can get the picture…. There was no trouble during the Winter Olympics in 1984. It’s baffling to think a decade later every sixth person in this city would be injured by the war. In 1984, Yugoslavia won its first Olympic Winter Games medal. Who runs the world? GIRLS – a Finish athlete won all three women’s cross country skiing events and became the only woman to have competed in six editions of the Winter Olympics. British skaters, Jayne Torvill and Christopher Dean shook up their standard performance which resulted in them collecting a gold medal. 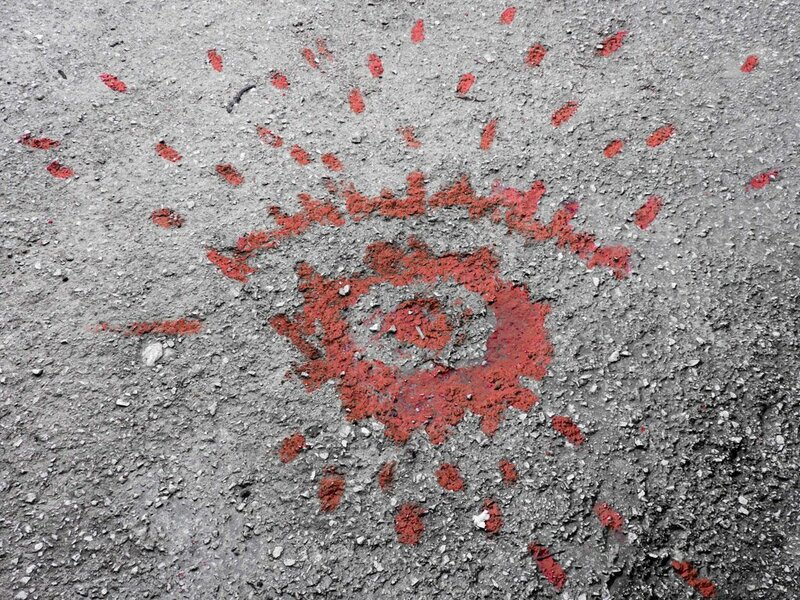 24 million sets of eyes on Sarajevo. Eight years later this happens. From ’92 – ’96, Bosnia and Herzegovina’s capital city, Sarajevo, was under siege from the Bosnian Serbs (backed by the Yugoslav People’s Army). The aim? To carve up Bosnia taking land to create a pure Serb nation, Republika Srpska. The Bosnian Serbs had a stronghold on three-quarters of the mountain range which surrounded the city, giving them the power to set up artillery. Although living in a valley is great for winter sports, it’s tragic for war. The soldiers pointed their weapons in and down on the residents of the city, for almost four years. 11,500 Sarajevans were killed – Bosniaks, Serbs, Croats, Atheists, men, women, old, young. 1500 children were murdered. Sarajevo’s abandoned bobsled track made for great shelter for the military, you can see that some of the track has broken off – it’s cement, that doesn’t happen naturally over two decades. This strategy of firing down and it caused a lot of damage, 60% of the city was destroyed according to our Tunnel of Hope tour guide. Naturally, war is two-sided and the Sarajevans did retaliate (some of these soldiers were Bosnian Serbs themselves, fighting for independence, many in interfaith marriages). Although the city defenders were not as big or as well equipped, they were smart and knew their city’s tight streets well. Why not pin to your Bosnia and Herzegovina’s Pinterest board? It’s a hard hike to the abandoned bobsled track but a unique thing to see in Sarajevo. 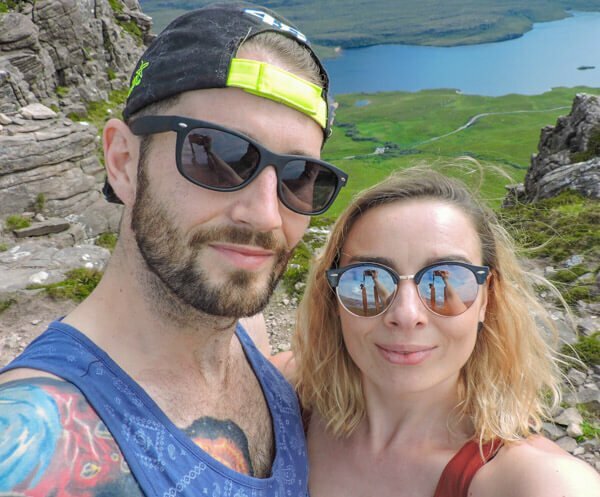 I read on another blog that they had heard people were getting mugged on the way up, so take only what you need (we only took one phone for GPS). Over half of young people are out of work in BiH, I’m sure like there are opportunists like there are in every city. We were wondering why the government doesn’t regenerate the abandoned bobsleigh track and create dry runs? This would, in turn, make jobs. Tourism is steadily increasing in Sarajevo so watch this space! 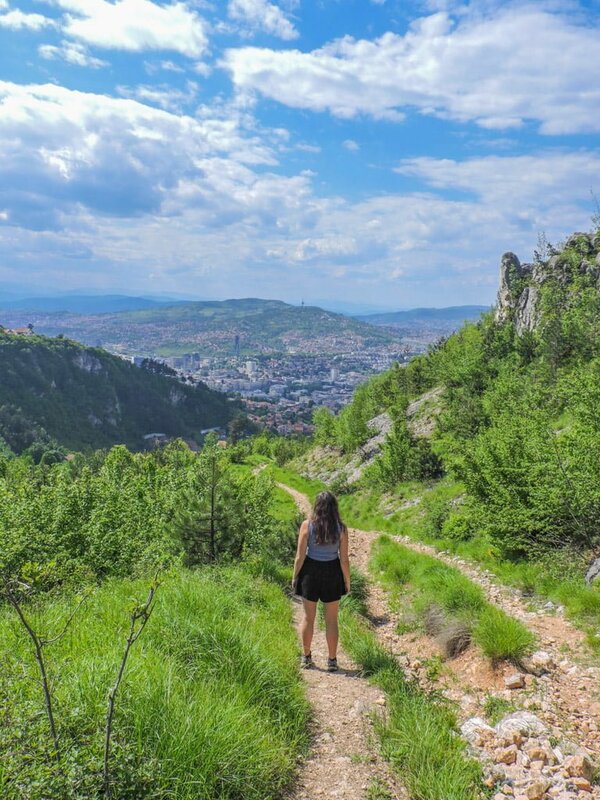 Anyway, as I mentioned previously, the hike to the bobsled track offers some of the best views of this beautiful Bosnian city! 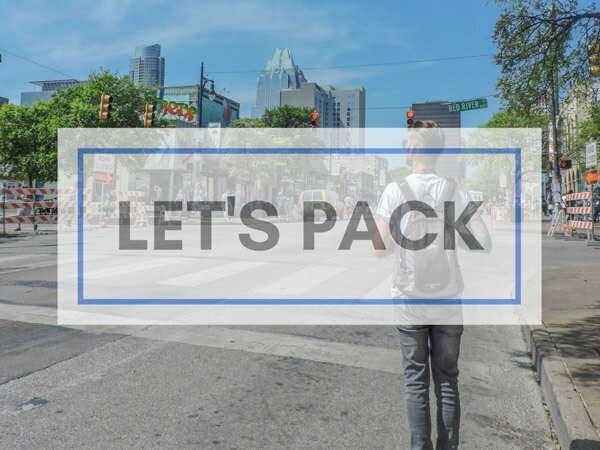 Read more: How much will it cost to travel around Europe? Have you been to Bosnia? Would you like to go? Thanks a lot for your post! Really useful! 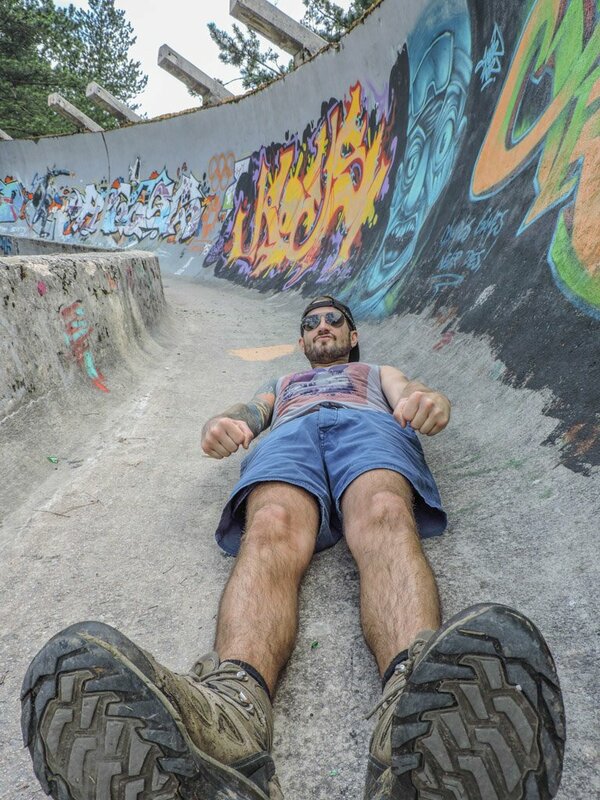 The bobsled track is definitely worth a visit and I also enjoyed the graffitis. Although I went there by foot, I would suggest anyone who doesn’t enjoy hiking so much to take the cable from the city that will take you up on the mountain. 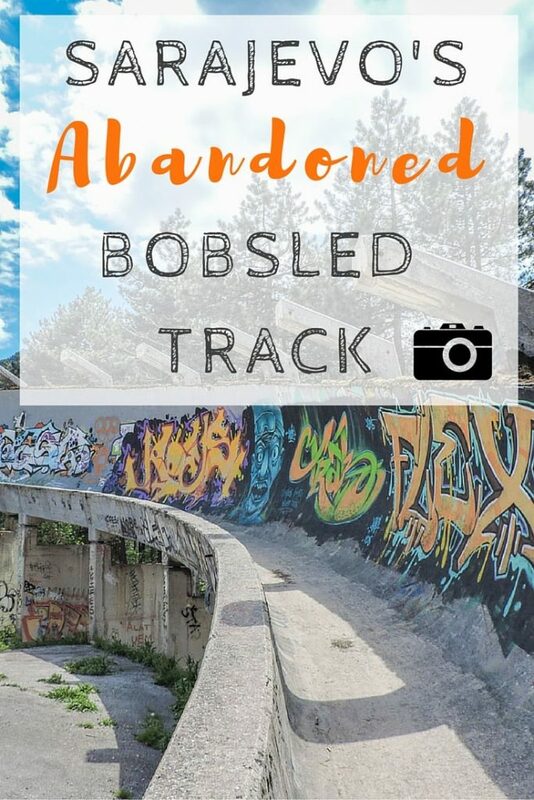 From there, the bobsled is just 5 minutes away and you can take the way down by foot to see the war time abandoned buildings..
Just Googling now – so cool to see! I really love Sarajevo, will be great to see how the city changes over the next years. Thanks so much for updating me. I’ve forgot to mention that the cable system has just opened on the 6th of April 2018, so it’s definitely an option that was not available during your stay :). No way! Thanks so much for the update. 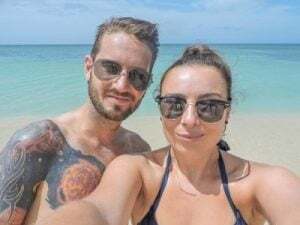 Thanks for this article – my husband and I will be here for TEN days and will definitely be taking the cable car to the bobsleds. Super useful information. I am very excited for you Megan! 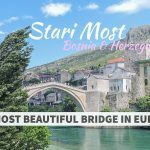 Will you be heading to Mostar too? Yes, just for one day on Thursday!! If you have a blog post about that too, we will definitely be looking at it. Fab, it is gorgeous. 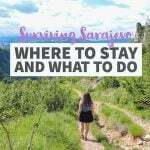 Here’s our Mostar guide —-> article and things to do in Sarajevo.